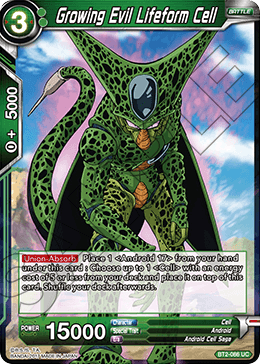 Place 1 ＜Android 17＞ from your hand under this card : Choose up to 1 ＜Cell＞ with an energy cost of 5 or less from your deck and place it on top of this card. Shuffle your deck afterwards. *You can only include a total 1 copy of this card between your deck and side deck at tournaments.